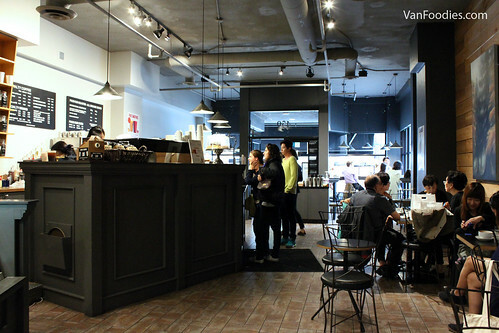 Trees Organic is no stranger to me, as I often schedule coffee meet at the centrally-located Granville store. 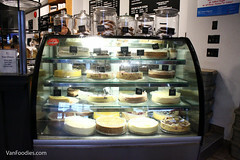 I have also bought its cheesecakes for birthdays before, a bit pricey but they are very good. 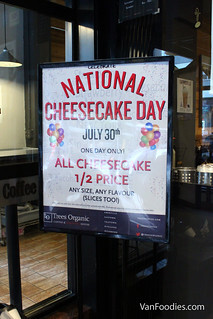 So when I heard that they are running a promo on National Cheesecake Day on July 30, I jumped on the opportunity to learn more about it. 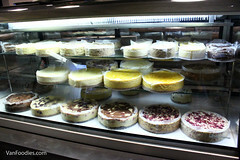 On Wednesday, July 30, and that day only, all Trees Organic store will be selling their cheesecakes at half price. That means you can get a slice of their cheesecake at the very affordable price of $3.5-$3.75 or a whole cheesecake starting at $10 each. Talking to the Director of Operations, Chris, I learned that they make their cheesecakes in-house at the Kits location then ship to all other stores. 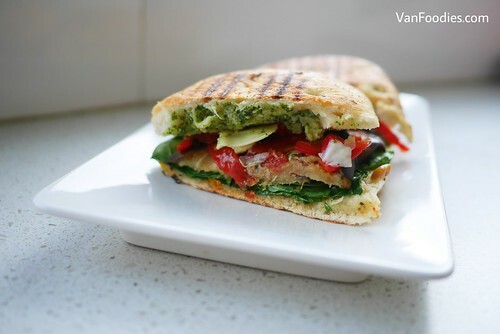 The process takes about 2 days from start to ready-to-serve, so the bakers probably have been quite busy getting ready for National Cheesecake Day, and if they run out, they are out!